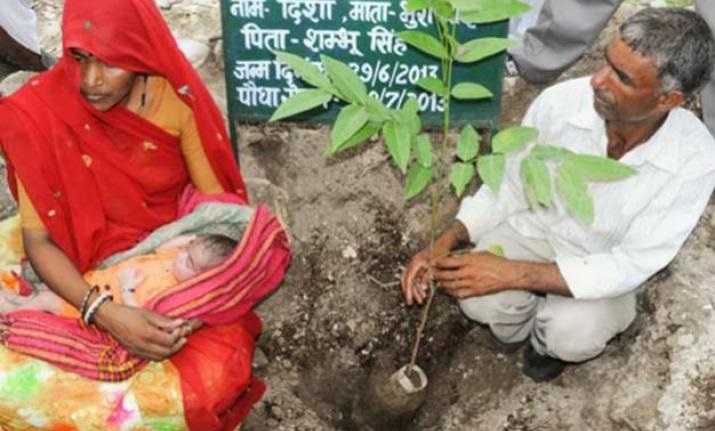 Planting a Tree in his daughter’s memory ended up in a movement for “111 Trees for each Girl Child”. UN - Woman’s Safety Award. Who is Shyam Sundar Paliwal. A farmer hailing from a tiny village Piplantri in Rajasthan who like other farmers was happy tilling and farming and providing for his family. A Man who is popularly known as a ‘Father of Eco-Feminism’, as he smartly combined the “111 Trees for Each Girl Child” concept which would empower the Beti and save the nature. He proudly says he is uneducated and cannot speak English but all the education comes from the Nature indeed!! Eco Feminism? It is a combination of protecting, nurturing, preparing the beautiful Beti (girl child) for the future along with taking care of Mother Nature. This happened by accident when this humble, simple, self-motivated and unassuming former Sarpanch Mr. Paliwal lost his daughter Kiran to an illness. In her memory he planted a Tree and remembers her every day of his life and his gigantic mission of “111 Trees for Each Girl child” began in 2005 (average 50 to 60 girls are born annually) and also people plant “11 Trees whenever they lose a dear one” and that’s not all. Every girl who gets married and leaves the village plants One Tree. Yet another reason for this.....Farmers who once lived peacefully suddenly started fleeing to nearby cities like Mumbai and Ahmadabad in search of contract work as their fertile land was no longer suitable for tilling and growing the crops; due to the mining waste and chopping of trees and the water levels dropped to a shocking 800 feet. Mr. Paliwal at any cost wanted the farmers and villagers to return back home. Believing in this mission, the villagers took complete responsibility in continuing this work and witnessed the results for themselves. One thing leads to another. An Affidavit is signed by every family against the practice of female infanticide. Every family and villager would donate money which would go into a fixed deposit for their girl’s education and future. Every family has to make a promise to educate their daughters and no child marriages to be allowed. In a span of a decade or so the water levels have risen to 10-12 feet, the damaged land is flourishing with nearly 3 Lakh trees of so many different varieties. 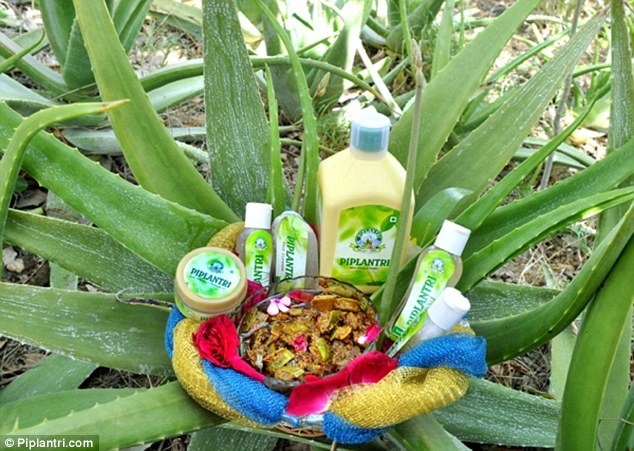 The Aloe vera extracts are quite popular. This Man and the proud villagers have provided facilities for women’s sanitation. The Rajasthan government has recommended this Model to other villages. Late APJ Abdul Kalam had invited Mr. Paliwal to help other villages. “Our daughters, planting trees, water-harvesting, using the government land well and the whole idea is self-sustenance. Awards, rewards, appreciation he receives plenty and he says if he can do it everyone can. You can reach him at 91 9680260111/9414172111 and signs off - let's join hands in making our Earth a better place for us and our children. Do you have an Achievement worth Sharing.? Send us a Mail: admin@bookofachievers.com OR Click here to Sign-Up and Add it Yourself. If you find anything in this Article which is False, Incorrect or Inappropriate, Please bring it to our Notice. If you Like to contribute to this Page, Please Drop us a Mail. Do you have an Achievement / Talent worth sharing..?